Todd is a senior accounting professional with over 15 years of expertise in the nonprofit, private, and government sectors. He has a proven track record at tackling the most challenging nonprofit accounting issues and finding solutions that work and move organizations forward. He excels at creating process efficiencies, motivating and utilizing staff to their full potential, implementing internal controls, and providing sound technical expertise. Todd focuses on the big picture, but doesn’t hesitate to dive into the details. 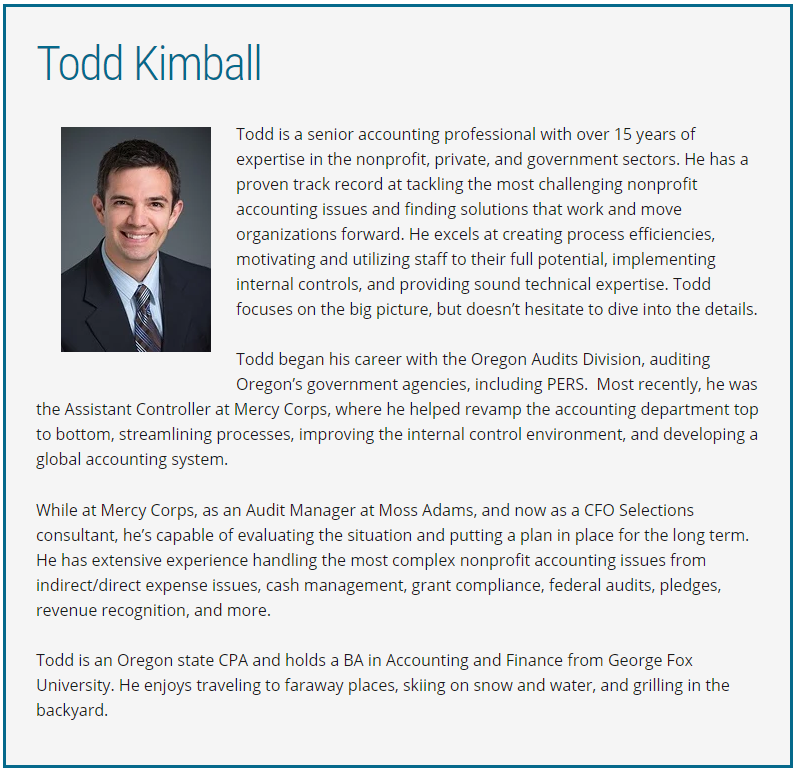 Todd began his career with the Oregon Audits Division, auditing Oregon’s government agencies, including PERS. Most recently, he was the Assistant Controller at Mercy Corps, where he helped revamp the accounting department top to bottom, streamlining processes, improving the internal control environment, and developing a global accounting system. While at Mercy Corps, as an Audit Manager at Moss Adams, and now as a CFO Selections consultant, he’s capable of evaluating the situation and putting a plan in place for the long term. He has extensive experience handling the most complex nonprofit accounting issues from indirect/direct expense issues, cash management, grant compliance, federal audits, pledges, revenue recognition, and more. 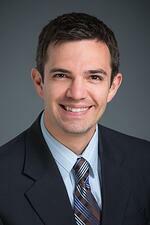 Todd is an Oregon state CPA and holds a BA in Accounting and Finance from George Fox University. He enjoys traveling to faraway places, skiing on snow and water, and grilling in the backyard.